‘Re-bonjour, Reims!’ We greeted the city like our old acquaintance as our car slipped away from A344 and entered the city centre. The city centre was very quiet because it was Sunday. 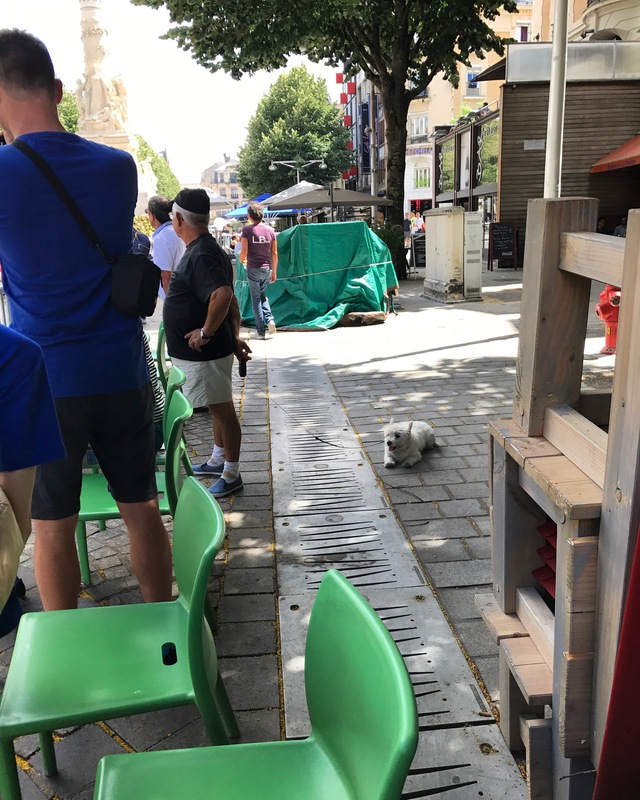 However during we were checking in to a hotel, the receptionist informed us that there was some event happening on nearby Place Drouet d’Erlon. So what is going on…? OMG!! 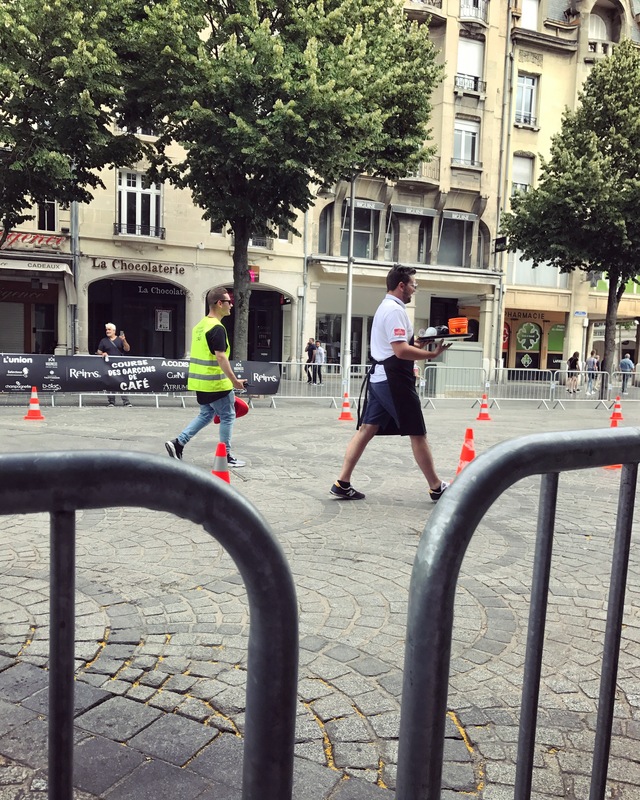 Course des garçons de café – waiters’ race!! I had seen a similar race in Paris ages ago and I was amazed by their professionalism and athleticism. 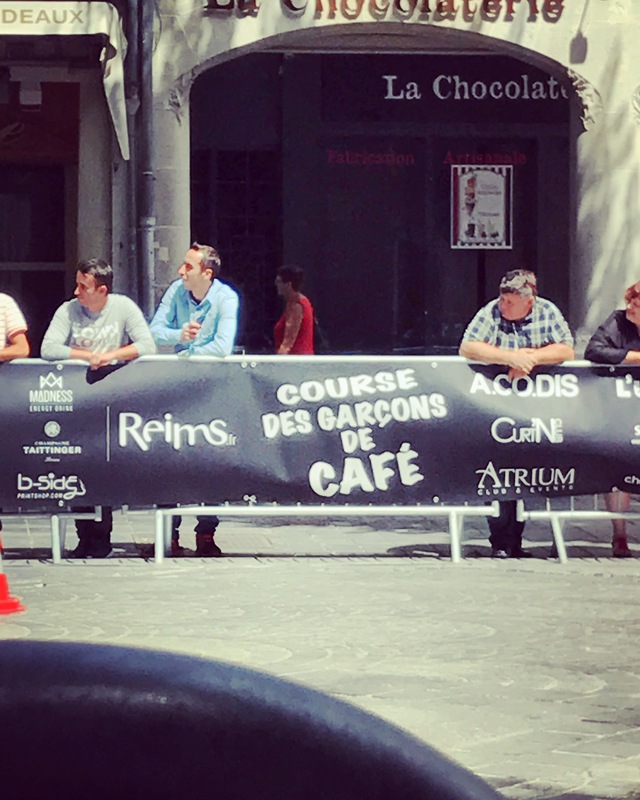 One of the locals kindly placed plastic chairs for us by the temporary barriers and we could watch a qualifying heat in style. Poor you. Wearing a fur coat in the summer isn’t easy, is it? 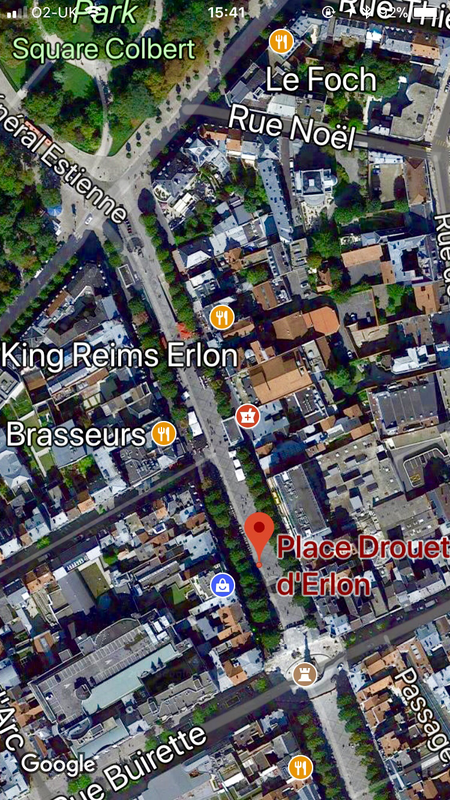 The waiters’ race started at the north end of Place Drouet d’Erlon and the participants were to hurry down southward, making a beeline to la Fontaine Subé, a famous landmark of the city which stood at the junction of Rue Buirette and Place Drouet d’Erlon. We wondered how many had survived navigating the long cobbled street without spilling the contents on the trays. Carrying a tray while walking a long distance didn’t look easy nor fun for me.